Get Started Making Music. 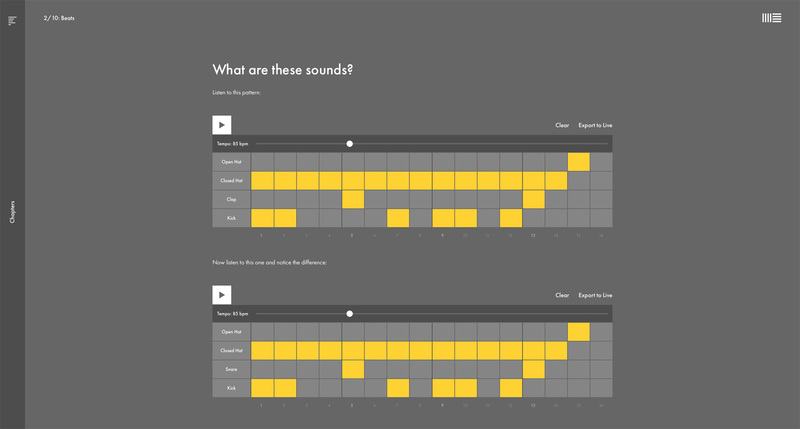 Ableton launched this cool little website with some basic music production concepts. I like the interactive tools here, pretty fun and useful at the same time. Laurent Garnier DJ set at Boiler Room, Lyon. This isn’t a new video, but still such a pleasure to watch (and listen!) such a master behind the decks. These two are my favourite moments: 1:20:03 and 2:29:39. Futurephonic Live with Chris and Regan. A cool live Q&A with two very influential people in the Psytrance festivals scene. I highly suggest watching the full video, but just in case, I’ve made a quick summary and highlights. No Sleep: NYC Nightlife Flyers 1988 to 1999. A nice collection of party flyers from the previous century, I like that. Check also my Psytrance flyers 2005–2007. Horror Musical Instrument – The Apprehension Engine. This is genius and creepy. I would probably use some of these sounds in my production!